As of Saturday afternoon, Williamson County had less early voter turnout by at least 3,000 residents compared to two years ago. This election cycle, seven school board seats are up for grabs with two contested state house races in District 61 and District 65 in the Republican primary. In the last two weeks, there was a total of 9,229 early votes. This totals to nearly 7 percent voter participation, with around 143,000 residents registered in Williamson County. Only one day broke 1,000 voters streaming to the polls out of five locations – Brentwood, Franklin, Nolensville, Spring Hill and Fairview. If looking at just the Williamson County School Board race among the seven districts who have candidates, only 6,353 people voted out of the 83,386 residents. That is a 7.6 percent turnout. In retrospect to past years, the 2014 August primary early voting outpaced this year’s, with 11,757 ballots cast, or 8.6 percent of registered voters. Though, in 2012, before the presidential election cycle kicked into its final gear, Williamson had lower early voter turnout than this year’s. That year saw only 7,549 (5.8 percent) early ballots cast out of 129,558 registered voters. And though no Democrats sat contested in the primary, Williamson had at least 17 percent voter participation that wasn’t Republican. 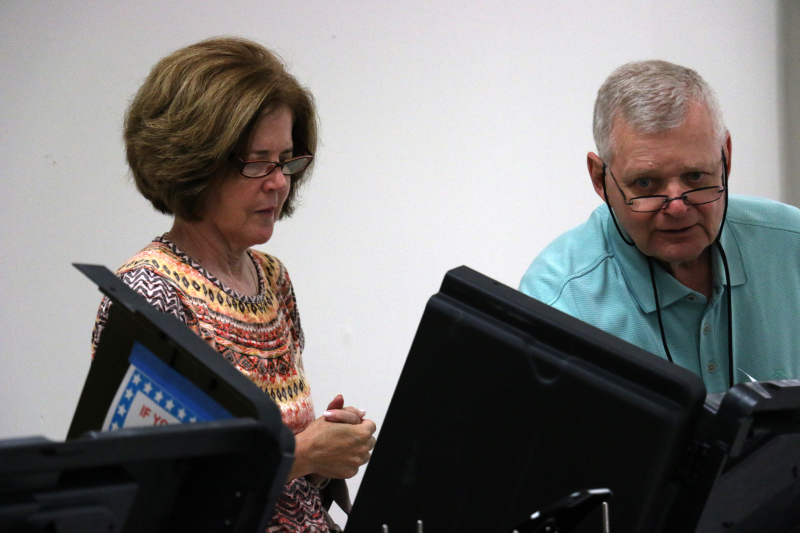 Out of the nearly 3,500 who voted in the District 61 race – with three choices on the Republican ballot – 428 voters chose to vote solely for the school board. Polls on Election Day, Thursday, Aug. 4, will be open from 7 a.m. to 7 p.m. Voters must appear at their Election Day voting precinct, which is based on residential address. For more information, contact 615-790-5711.